Various types of cryptocurrencies have sprung up everywhere. With the unbelievably rapid growth of the price of Bitcoin, everybody has been on the hunt for the next cryptocurrency that will follow the “success” of Bitcoin. There is a cryptocurrency that has already built its success since its beginning: NEM. The New Economy Movement, or what is now known as NEM, was not made to simply provide another coin in the cryptocurrency market. It was made to be the coin of the future. It is a cryptocurrency that integrated concepts from other cryptos (such as the Bitcoin) with academic research in network theory. It started out as a movement that aims to empower individuals by creating a new economy based on the principles of decentralization, financial freedom, and equality of opportunity. In the dawn of 2014, the founders of NEM announced its genesis block, or what is co-called the “nemesis”, to develop a new and clean cryptocurrency. In this, fairness and egalitarianism has already been manifested. The equal and fair distribution of the coins at the official start of the NEM blockchain was crucial in NEM’s sustainability and adaptability. Different from Bitcoin and other mining coins, all NEM coins were distributed at the genesis block. NEM stakeholders are designed to be their own network nodes that will verify the transactions and protect the network through a Proof of Importance (POI) forging mechanism. This type of distribution eliminates the need to have a crypto-mining industry, while the POI mechanism avoids the computational arm-race. Also, in this distribution, approximately 75% of the coins were issued evenly to nearly 3,000 stakeholders. The remaining 25% of NEM is alloted to marketing and development expenses. This equal distribution assures that no one could control the price and no one has huge advantage over others since each stakeholder only controls about 0.025% of the currency. NEM’s initial goal to “create” an egalitarian new economy for the digital age was magnanimous but actually and practically difficult to attain. For example, despite NEM’s initial even distribution of coins for a level playing field, the balanced dispensation of its coins did not hold. Because the cryptocurrency market works under free market principles, NEM’s egalitarian aspirations, though noble, is not feasible. While NEM might not be able to fully accomplish this, it is successful in developing innovations that allow tech-based businesses to provide better and more reliable service. There are two important features of NEM that are crucial as it moves toward the digital future. First is its Eigentrust++ algorithm. This algorithm establishes trust on peer-to-peer networks. If several peers deliberately send false data around the network, then the algorithm should theoretically exclude those peers from the network. It also applies a trust rating to peers in a way that is hard to scam. NEM is the first, if not the only, cryptocurrency to use this advanced algorithm to protect the network. This feature is very important in today’s and in the future’s digital economy. NEM’s algorithm, if applied to e-commerce, reduces transaction costs and in effect will facilitate more transactions through digital means. This algorithm has a plethora of opportunities and applicability in other business aspects, such as data management, digital marketing, and customer feedback. The other one is NEM’s use of HTTP API in interacting with a blockchain. This has two implications. First is that this makes the creation of an application more easy. Second, and more importantly, it allows NEM to offer off-chain smart contracts. The off-chain smart contracts make the tech firms that uses NEM’s blockchain technology to be more flexible and dynamic. If a firm’s business model is strategically changed, the smart contracts can be modified in line with the new business model. This is important in the ever-changing digital economy. With the vulnerability, uncertainty, complexity, and ambiguity that businesses face in the digital economy, flexibility and dynamism are two important characteristics that any business should have in order to thrive in this digital age. All in all, NEM has evolved from being a cryptocurrency that aims to create a new economy to becoming a blockchain technology provider that is innovatively and dynamically creating an impact to the digital age. NEM is moving forward — from its noble past to its very promising future. 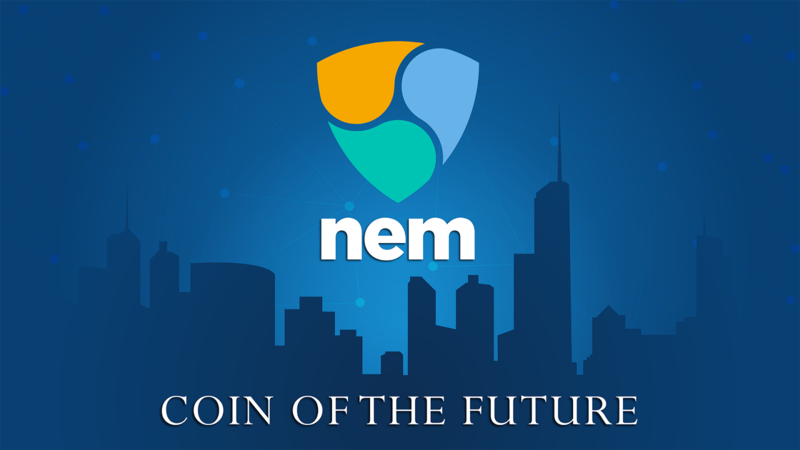 For NEM, its dreams of the future will surely be better than the history of its past. * UtopianFuture eventually stepped down as a co-founder of NEM when it was discovered that he created sockpuppet accounts. He claimed that he created these sock accounts to keep a high demand when they had few supporters.